Where is it safe to go on holiday abroad? The past year has been tumultuous, with terror attacks taking place in Turkey, Manchester, London and Barcelona. The increasing threat of war with North Korea and widespread devastation caused by hurricanes in the Caribbean means that anyone planning an overseas trip in the next 12 months would be wise to pause and consider the risks involved. In general the perceived risk to health, safety and security when travelling around the world remains high. 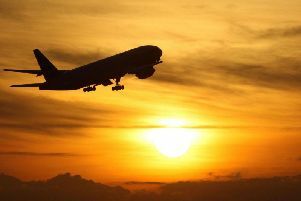 That’s according to a new study which has found that two thirds of business travel decision makers (63%) think global travel risks have increased in the past year. The Ipsos Mori Business Resilience Trends Watch 2018 also found that 58% of business travellers changed their travel plans due to security threats. Almost half (43%) had to modify their itineraries because of natural disasters, including extreme weather events. To accompany the research, International SOS and Control Risks have launched the latest edition of their award-winning Travel Risk Map. The digital, interactive map includes revised risk ratings for countries on key security and medical issues. The latest risk rating changes include increased risk in Puerto Rico and some areas of the Caribbean due to the effects of the recent hurricanes. However, the risk factors in some European countries have dropped, thanks to improved standard of medical care.